Tom Hobson lives in Belleville, Illinois, a suburb of St Louis. He has been a pastor in the Presbyterian Church (USA) (1983-2015) and now in the Evangelical Covenant Order of Presbyterians or ECO (as of 3/1/15). He has served churches in Iowa, Missouri, and Illinois. He holds degrees from Southern Illinois University at Carbondale (B. S. in Social Work), Gordon-Conwell Theological Seminary (M. Div. ), and Concordia Seminary, St. Louis (Ph. D. in Biblical exegesis). 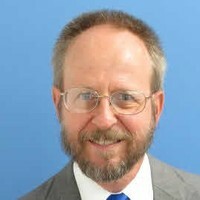 He retired from his position as Chair of the Biblical Studies Department at Morthland College, West Frankfort, Illinois as of the end of May 2016.